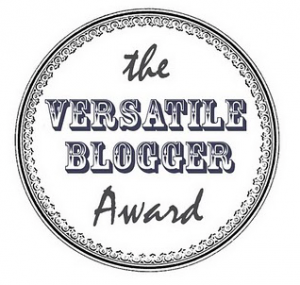 This is such a great award to be nominated for, it’s a super way to get to know more new bloggers just like me. I would like to thank Rita for nominating me. Take a look at her beautiful page if you get the chance and give it a follow! Honestly, I just started to write down all the things I think about when I drive to and from work. Once I had all these random thoughts and ideas down on paper I started to write my posts around them. 2. What do you do in case of a writer’s block? I work two jobs and tend to interact with lots of people so I talk to them and most of the time it gives me more ideas or helps me add bits to my writing now and again. 3. 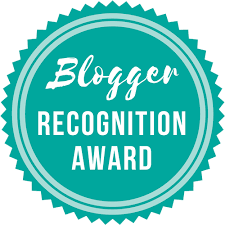 Does your family know that you have a blog? What is their opinion about blogging? My Grandma has always been my number one fan so now shes the number one fan on my blog too. 4. What has been your scariest experience so far in your life? When my little sister fell into the pool of the villa we were staying in on a family holiday one year. Katie was about 1/2 years old at the time and I was 5/6 and had only just learnt to swim. 5. What are you most grateful for? 6. What’s your favourite time of year? This is such a hard question, I love this time of year – October/ November because so much is going on. I have Halloween/Family Birthdays/ Fireworks/ Thanksgiving/ Parties and obviously Christmas! This year I even have a wedding to go to. So I guess now is my favourite time of year. 7. What are the pains and pleasures of blogging? So far the I haven’t really felt the pains. The pleasure however is just to have my page that completely belongs to me and reflects my life. It is all just there on a page and when people read and enjoy it, well that is just an added plus! 8. How do you spend me-time? Tea and Gilmore Girls or NCIS or Life on Mars. I love to just relax by myself sometimes and watch whatever I like for however long I like. sometimes I even throw in a face mask and some chocolates. 9. What’s the worst film you have ever seen? IT. Sorry everyone but I hated it, it was horrible. 10. Is there anything you would like to learn in the future? If so, what is it? I would like to learn more about my job in construction and possibly some other things. I am not sure I have decided yet. 11. What are your personal goals for 2018? Be happy, Just enjoy where I am in life and not be to cautious. Here are a few facts about me..
2. I once went swimming with elephants in Thailand when I was 11. 3. Eeyore is my Favourite Winnie The Pooh Character. 4. I Love Animals – I have a cat named Gizmo. 5. I love all the crime drams- Law & Order SVU and NCIS are my favourites. 7. I don’t look like the type but I love metal and rock music. Check out all these beautiful blogs, they’re all so talented and such lovely people! If you accept, I certainly look forward to reading your blog posts! Here are the questions I’d like to pass on to you. What has been the biggest challenge you’ve faced since starting your Blog? If you were going to a desert island and could only take two things with you, what would you take? If someone offered you an all expense paid trip to anywhere in the world, where you would you choose to go? Pineapple on pizza, Yes or No? What was your Favourite post that you have published on your blog and why? What is your Favourite Band/ Artist? What is on the top of your Christmas list this year? What is your go to Crisps flavour? Here are the rules from the Liebster Award Website. Provide random facts about yourself. There are alternative rules you can have a look at Here.